Enjoying the wind in one’s face and the perfect view: first on the open funicular – rumbling and bumping just as it did 120 years ago – and then on the rooftop deck of the futuristic CabriO aerial cableway. 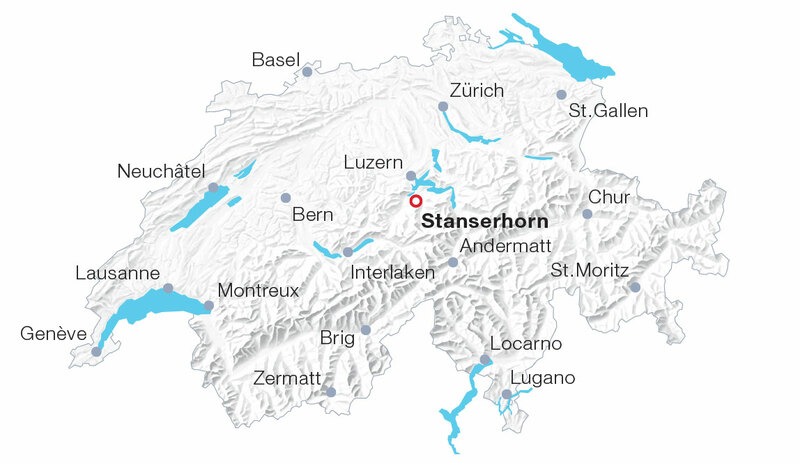 Since 1893, the open wood coaches have been travelling sedately up towards Stanserhorn from Stans. Starting at the intermediate station, the aerial cableway with its open roof deck is one of the main attractions. It is a truly amazing feeling to stand up there on the roof of the double-deck panorama cabin and experience up close the passage between the supporting masts, just enjoying the headwind and the magnificent view – without any cables overhead. On the summit circular walk, visitors meet rangers who are happy to assist with identifying flowers and mountains. Halfway around, the marmots await – as well as the summit restaurant “Rondorama”, which revolves around its axis. Operates during the summer season (April to mid-November). This route is fully covered by the Swiss Travel Pass (Flex).